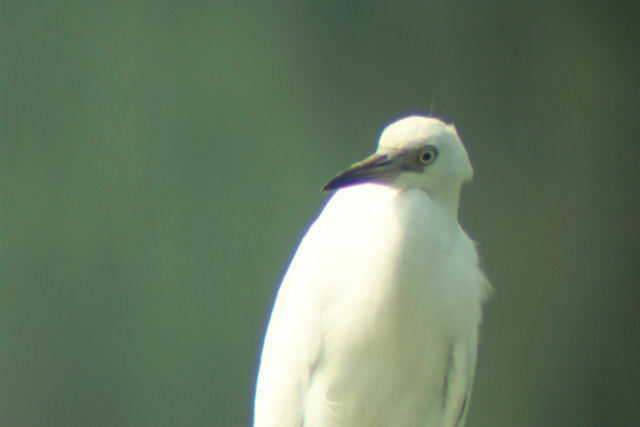 Little Blue Heron (Egretta caerulea) juvenile, digiscoped. Marshes. Breeder.